Fall is here…. The only thing is that I’m in Miami… So fall is…well, nice weather, with soft air, and less humidity. And it gets a little bit colder and nights. But not much leaves fall from the trees, or boots, sweaters and cute beanies. But still, its fall and fall is pumpkin. Pumpkin decorations, pumpkin colored everything, and of course, pumpkin cake. And I LOVE pumpkin cake. 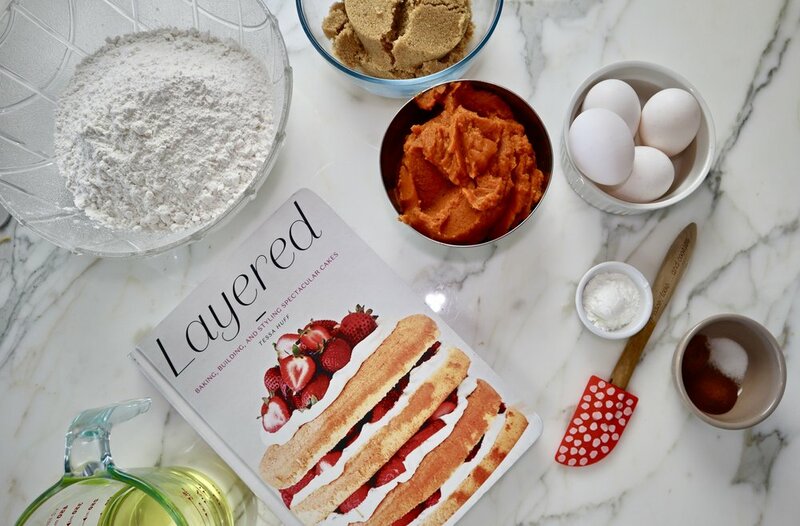 I’ve tried so many recipes, and this one is for sure the best. It’s from the book Layered by Tessa Huff. Please check out this book, if you love cake, you’ll love this book. I filled and frosted this cake with maple syrup buttercream, that it’s only adding half a cup of maple syrup to my basic Italian merengue buttercream recipe. You can also try it with cream cheese buttercream, my daughter’s favorite. 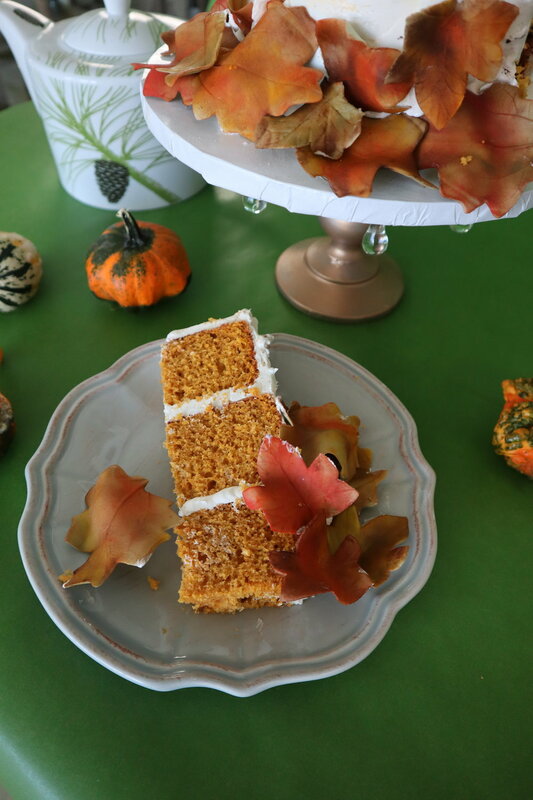 In our YouTube channel, we have a tutorial for beautiful fall cake made with this recipe and decorated with buttercream and gum paste leaves, check it out!